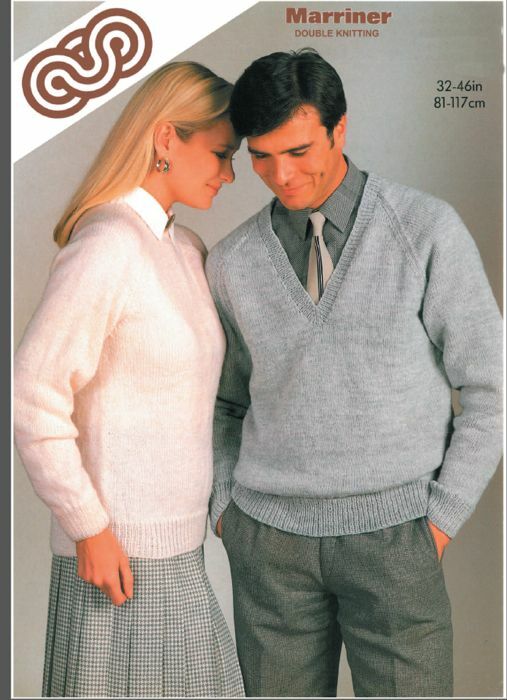 These classic unisex sweaters have the option of round neck or V-neck, knitted in Double knit yarn. Hooks required 1 pair size 3 1/4mm (No 10) and 1 pair size 4 mm (No 8) Knitting needles or the size of needles to give correct tension. Stitch holders.